Respite Services can be provided to carers who need to de-stress and re-energize from their regular responsibilities as being primary caregivers. Do you feel like you could take a break too? 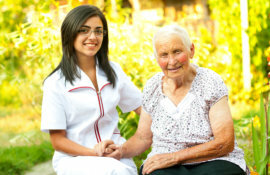 Getting respite is one way to avoid caregiver burn out. We can work out a schedule that best suits you. Do you have questions about our programs and services? Call 617-328-1340 to talk to a care coordinator.